I start to complain that there’s no rain… along Route 10-1 (Gapado) on April 15. By Lee Seong-gwan. Sunrise was at 6:00 a.m. and sunset will be at 7:06 p.m.
We have a wonderful high of 22°C (the highest this year) with a clear sky above and a light air (1 m/s – rare for Jeju) blowing east all day. Overall the trail will be great today. Hello… to You! along Route 9 on April 15. By Lee Seong-gwan. Sunrise was at 6:01 a.m. and sunset will be at 7:06 p.m.
We have a high of 18°C with cloud and maybe a light sprinkle of rain finishing early this morning. There will be clear sky later. 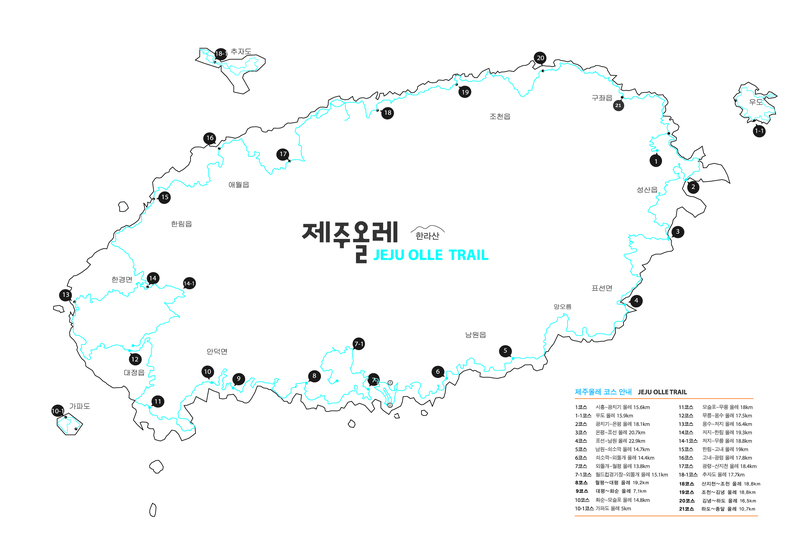 A light wind to light air (1 m/s – rare for Jeju) will blow west then south-west. Overall it’s going to be a good day on the trail.